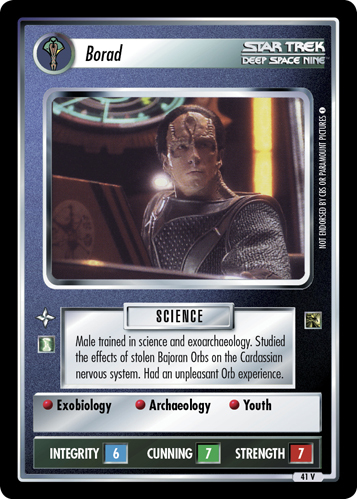 Cardassian Ministry of Science member. Worked on the 2371 subspace relay project. 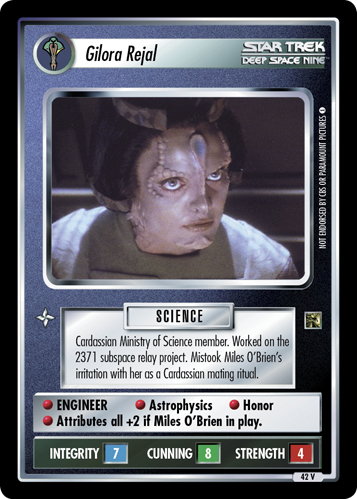 Mistook Miles O'Brien's irritation with her as a Cardassian mating ritual. 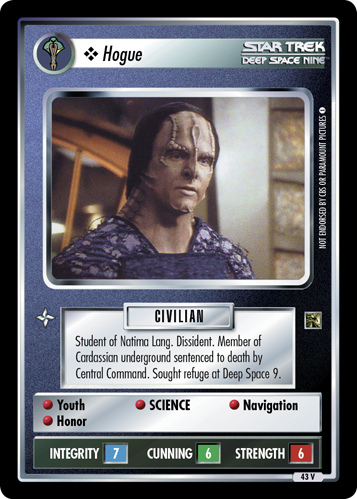 • ENGINEER • Astrophysics • Honor • Attributes all +2 if Miles O'Brien in play.